With considerable effort. Work is heavy and labour-intensive, and it requires a fair amount of skill. Batavia Tile developed a method that allows us to enjoy the beauty of natural stone without having to worry about the laborious drawbacks. We understand that doing stone business is challenging task. That’s why Batavia Tile,is the SOURCE of natural stone products from Indonesia. With two decades of experience, craftmanship, and integrity, Batavia Tile is your supplier of choice. Our product are inexpensive but never cheap. 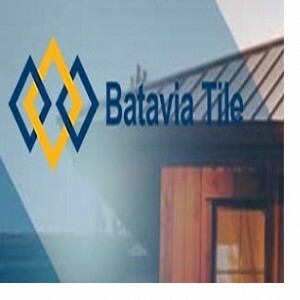 Batavia Tile was established in summer 1999. The Company is specialised in the development, manufacture and sale of contemporary natural finishing materials, used in the construction of private homes and commercial buildings. The network is worldwide. Under strict supervision the raw materials are taken from specifically selected quarries. The products are subsequently manufactured and distributed via a centralised coordination system. The base product is natural stone, as old as the earth itself. Over the years, many cultures have been searching for the best quarry techniques and ways to shape the raw materials into usable building materials.